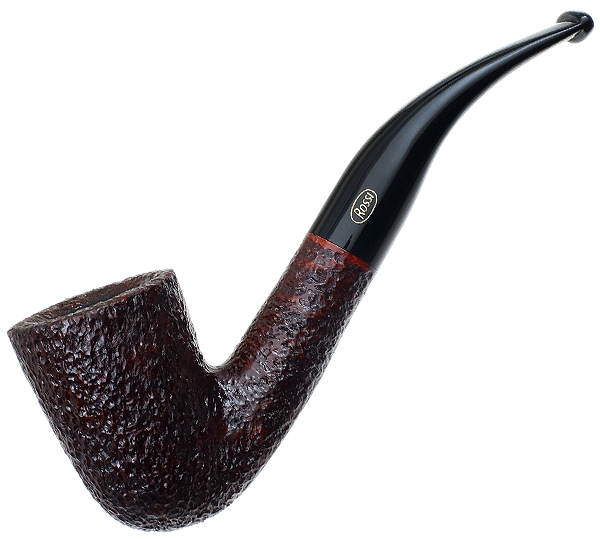 The "8611" is a half-bent Dublin with a stout, yet defined transition, plenty of chamber, and an easy curve to the stem. Here in Rossi's Sitting series, it features flattened panels along the underside of the bowl and transition, allowing it to sit soundly on a flat surface. A great choice to recommend to customers looking for a new desk pipe, it comes dressed in a dark brown, deep-textured rustication and features a jet-black, oxidization-proof acrylic stem.